Chef Hugo Ortega and HMNS curator of anthropology Dr. Dirk Tuerenhout. Photo by Sandy Adams Photography. 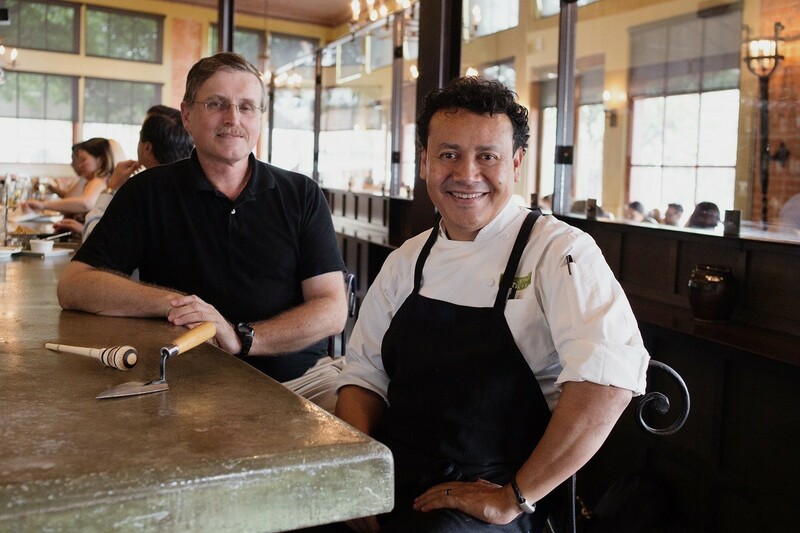 On Saturday, April 7th from 2 to 6 p.m., executive chef Hugo Ortega and anthropologist Dr. Dirk Van Tuerenhout are hosting an afternoon of events called “In an Aztec Kitchen.” The first stop is Houston Farmers’ Market on Airline—home of Canino Produce Company. Then, Ortega is giving a post-tour cooking demonstration at Hugo’s, 1600 Westheimer, while guests enjoy mezcal and chocolate pairings. The day’s events are limited to 55 participants and seats can be reserved online for $75 or by calling (713) 364-6344. For the farmers’ market part of the day, Ortega will lead participants through the indoor Canino market as well as the massive open-air section. There, attendees will see table after table of vendors selling spices, chiles and other produce. A little background: Canino Produce has been at the Airline Drive location for 60 years. The market has almost quintupled in size since inception and there are plenty of other changes coming soon. 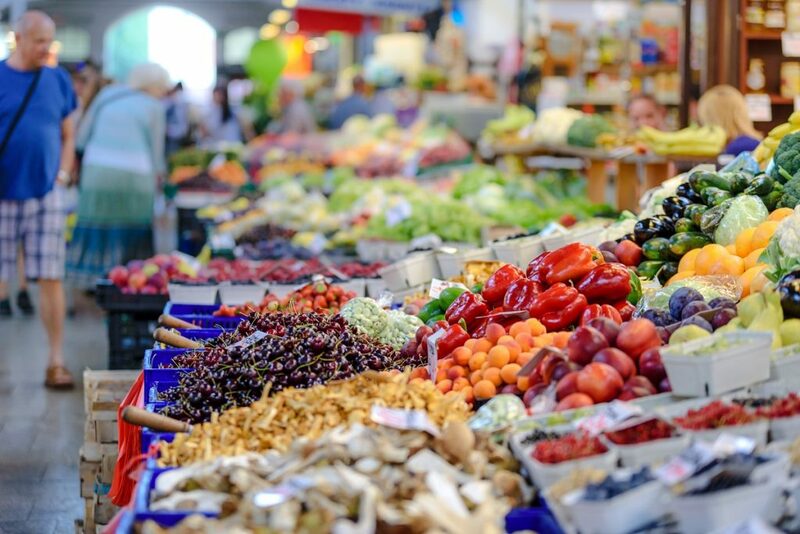 It’s fresh produce as far as the eye can see at the Houston Farmers’ Market. Readers who are interested but unable to attend should head over to the Houston Museum of Natural Science for Dr. Tuerenhout’s “Chocolate, Corn, and Floating Farms: The Marvel of Aztec Foods” lecture this Tuesday, April 3 at 6:30 p.m. Tuerenhout will discuss the Aztec’s revolutionary farming techniques and explain how we can benefit from their evolutionary adaptations. Tickets are $18 and available online; members tickets are only $12.